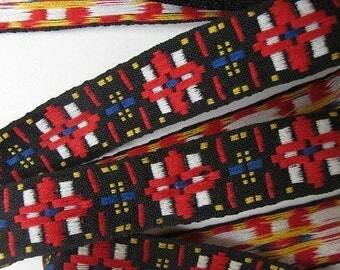 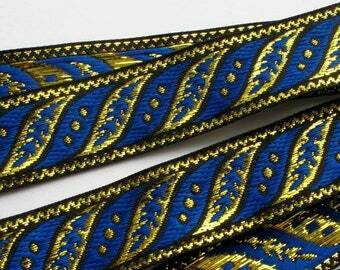 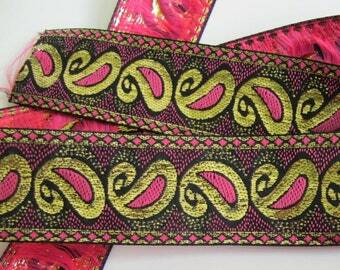 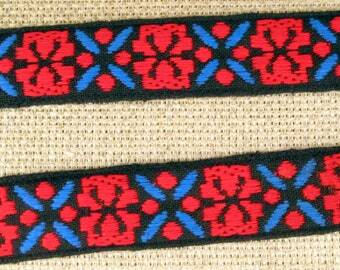 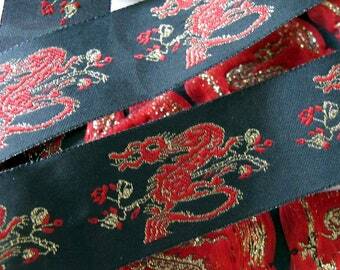 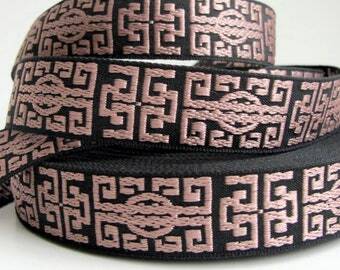 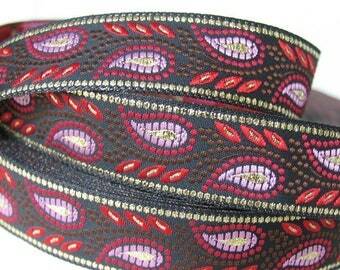 Offered here are 3 continuous yards of a unusual pattern Jacquard trim. 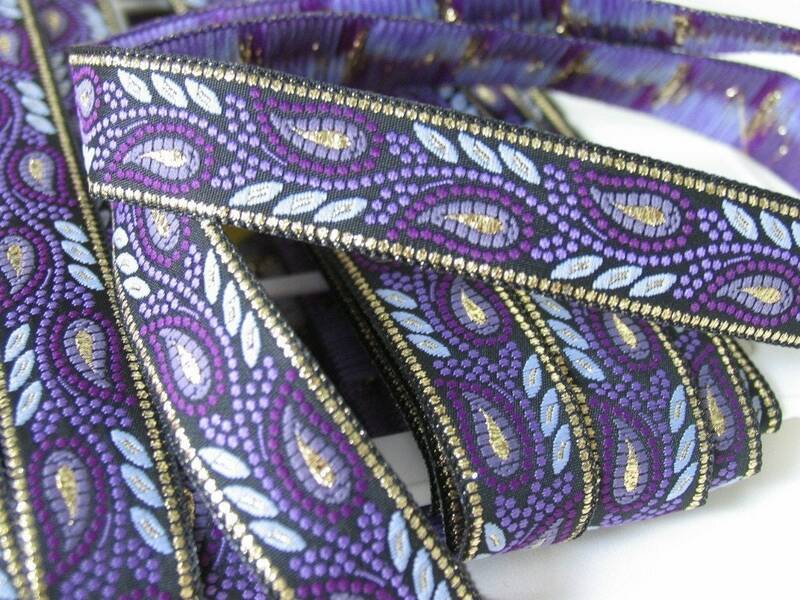 This one has small leaves and buds in a wavy garland pattern in DEEP PURPLE, PURPLE, MAUVE, METALLIC GOLD, on BLACK. 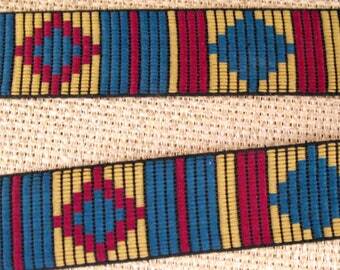 Wash in gentle cycle cold.